Hey neighbor! 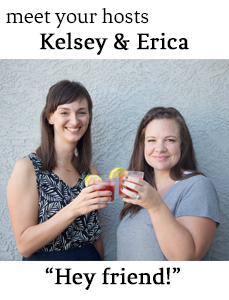 Join us on our Girl Next Door Podcast Facebook page where you can comment on episodes as they come out, suggest a cocktail for use to try, pitch a topic idea or share neighborhood news from your corner of the world. If you love the show we'd love for you to share the Girl Next Door Podcast Facebook page with anyone who you think would like the show. And as always your iTunes reviews totally make our day. THANK YOU!